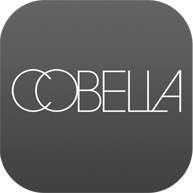 Cobella can help you create a bikini ready body… or a new relaxed you! This A-list favorite gets famous bodies into their bikinis post-baby and pre-holiday. This wrap is based on an algae extract, and a course makes a genuine, visible difference. This advanced technological treatment from Guinot is a true solution for contouring and cellulite removal, combining lymphatic drainage, muscle stimulation and breakdown of cellulite. Results are instantaneous from the first session, the body is firmer and more toned. Our exfoliating body scrub will remove dry and flaky layers, leaving soft, beautifully polished skin that sparkles and glows.